Don’t need a full cheesecake? 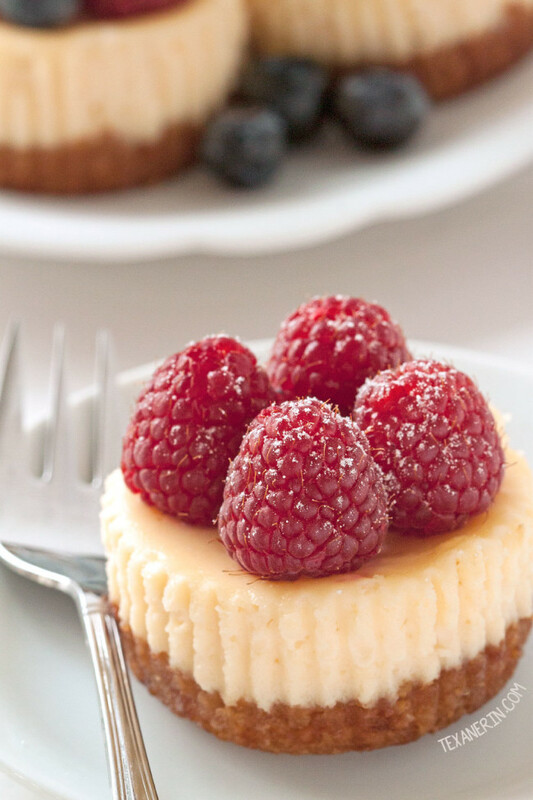 These delicious gluten-free and grain-free mini cheesecakes are the perfect solution! As much as I love cheesecake, I rarely make them. If I made a cheesecake just for the heck of it, I’d eat it all. And I don’t need that! I used to make them for parties and get-togethers but when you don’t have a car, those things get heavy after about 10 minutes of walking. Not only that, but full-sized cheesecakes are so fussy. I almost always mess them up but mini cheesecakes? They’re pretty difficult to ruin as long as you don’t forget to line the muffin pan with muffin liners, which I may or may not have done the first time. These grain-free mini cheesecakes freeze wonderfully well! They taste just as good post-freezing so you could even make them ahead of time if you’ve got room in your freezer. By the way, I’m totally in awe of anyone with space in their freezer. I think there must be a defective gene in my family because ours are always packed. Always! As far as grain-free crusts go, I think this one is pretty awesome. Pre-baking them prevents a soggy crust, which seems all too common in grain-free and gluten-free almond flour based crusts. After baking the cheesecakes, the crust isn’t exactly crisp, but it’s far from soggy! Almond flour, sugar and butter on their own don’t taste all that exciting so I added some lemon zest to liven up the crust. If you don’t want to use lemon zest, add some lime zest, almond extract, or something. These mini cheesecakes just aren’t the same without it! 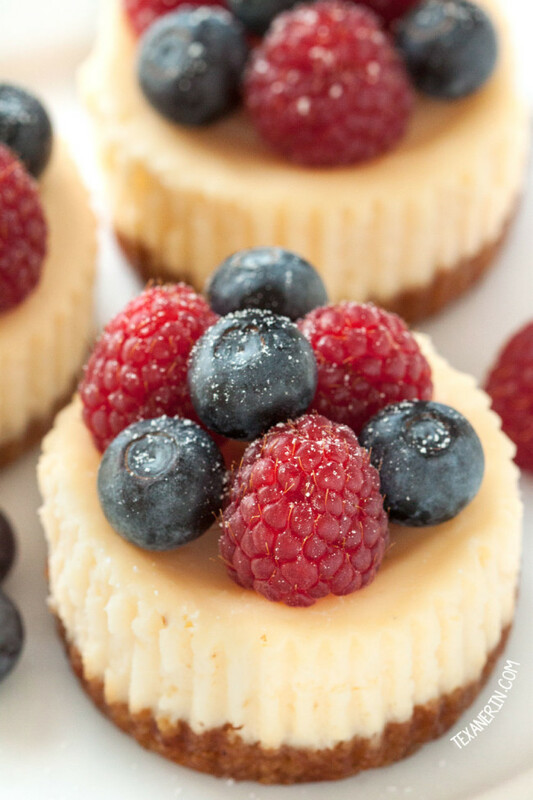 Because I posted these gluten-free mini cheesecakes over on My Baking Addiction, I wanted them to be especially pretty so I just decorated them with some berries. It’s really easy to plop them on top and be done with it. Prefer a no-bake version? These Mini Gluten-Free No-Bake Cheesecakes with Chocolate Chip Cookie Crust from My Gluten-free Miami look pretty awesome! And so very easy. Preheat the oven to 350 °F (175 °C). Line a muffin pan with 12 muffin liners. Prepare the crust. In a medium mixing bowl, stir together all the dry ingredients, then stir in the butter and mix until thoroughly combined. Divide the mixture between the liners (18 grams or 3 1/2 teaspoons of mixture per liner) and lightly press down with the bottom of a shot glass. Bake for 10 minutes or until very lightly browned. Remove from the oven and cool for at least 10 minutes while preparing the filling. Using an electric hand mixer or a stand mixer fitted with the beater attachment, beat the cream cheese and sugar at medium speed until light and creamy. Add the vanilla and salt and beat until combined. Beat in the eggs on low, one at a time, and just until well incorporated. Do not over mix! Fill each liner about 2/3 full with the batter and bake for 10 minutes or until the centers of the cheesecakes don't jiggle when the pan is tapped. Open the oven door (at least 1 foot wide) and let the cheesecakes cool to room temperature - about 1 1/2 hours. For easiest removal, remove the paper liners now. They can also be removed after chilling, though a little more cheesecake may stick to the liners then. Chill for at least 2 hours before serving. Decorate with berries and dust with powdered sugar, if desired. Refrigerate for up to 4 days. 169 comments on “Mini Cheesecakes (grain-free, gluten-free)” — Add one! These look amazing! Do you shave down the sides of the cheesecake to take away the “cupcake” shape? Also, could I use gluten free graham crackers for the crust? Thanks! No, I just leave them as is. :) You could look for a graham cracker crust recipe and use that with your GF graham crackers. Hope you’ll enjoy them! I love these mini cheesecakes! I’ve made them for my boyfriend for the last 4 years on Valentine’s Day! Oh, wow! I’m happy that they’re now a Valentine’s Day tradition for you. :) Thanks for your feedback and my apologies for the very slow reply! Thanks for sharing! Do they freeze ok? This looks so good! I love to make mini ones when I don’t have a group to share a big one with! Can I used regular almond flour or does it need to be blanched? Hi there! I would like to make these for a dinner that I am hosting as we will have a friend that sticks to a gluten free diet. I want to confirm that you use a regular size muffin pan and not the mini pan. Is that correct? Also, if I freeze them, should I thaw in the fridge the night before? What would you suggest. I’m worried about the crust getting soggy. Hi! I’m sorry for just now seeing your question. A regular-sized muffin pan is correct. You can thaw them overnight but they really don’t need very long to thaw. I don’t think they’ll be soggy but I can’t be 100% sure (it really depends on your almond flour and how you freeze them). These grain-free, gluten-free mini cheesecakes were delicious! The lemon zest in the crust definitely made the difference, creating a very light and elegant dessert. I will definitely be making this again! Thanks for sharing the recipe! You’re welcome! I’m so happy you liked them. :) Thanks for your comment and sorry for my slow reply! Hi there! What size pan do you use and for how long do you bake it? And the crust recipe is enough as written? I’d also like to try! So happy to hear that you’ve been enjoying the recipe. :) Thanks for your comment! Hi, I love this recipe, my mom is on a gluten free diet for having hashimoto’s, I did not use this crust but I did use the filling, I made it in an 8 inch pie and baked for about 20-25 minutes. Made it for moms birthday. It came out perfect, thank you so much for your recipe! You’re welcome! I hope that your mom also liked it and that she had a great birthday. :) Good to know that it works well in an 8″ pie pan! Thanks a bunch for your comment. These were incredible! I added raspberries on top. Super delicious. Only thing is that they took about 10-20 minutes longer to cook each way. I didn’t pack in the sugar and it made it less sweet, and surprisingly much lighter! So happy you liked them! Mine would have been way overdone with cooking them 10-20 minutes longer. What do you mean each way? You mean the crust and then the filling? Could it be that your oven is running on the low side? I’d definitely check that out. Thanks for your comment! These were really easy to make and so delicious! Fantastic recipe. Thank you for sharing it. I added a little ground ginger to the base which went nicely with the lemon zest. Will definitely make these again! You saved me! I am on a gluten free diet for the next to weeks, which is not so bad but gluten free desserts are hard to come by at the store. I didn’t think I was going to make it especially since its graduation party season, but these will cure all of my sweet tooths. Thanks! Mines failed. They were nice at first and then sunk way down after a while with the door open. They look like little cups. I’ve gotten a lot of reviews on this recipe and you’re the first to mention them sinking. Did you make any subs or changes to the recipe? Did you maybe overbeat the cheesecake batter? And are you sure your oven isn’t running too high or low? My second attempt was a success. It could be the oven temperature being too hot. Thanks. They were a hit! Can this recipe be made in a 9×13 pan instead of a muffin tin?? I think an 8″x8″ would be closer to what you’d need. But I haven’t tried it so I’m not positive. Sorry about that! 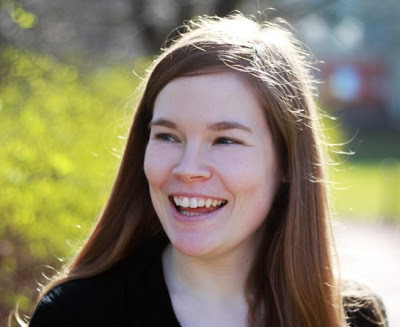 My daughter has Crohn’s disease and cannot have sugar. Is it possible to replace the sugar with honey? I am wondering if the honey will change the consistency too much. Using honey in the crust wouldn’t work. You’d probably want to find a different crust recipe. If you want to use honey in the filling, 1/3 cup instead of 1/2 cup of sugar would probably work but since I haven’t tried it, I’m not sure what effect it’d have on the texture. It’d also have some honey taste to it. 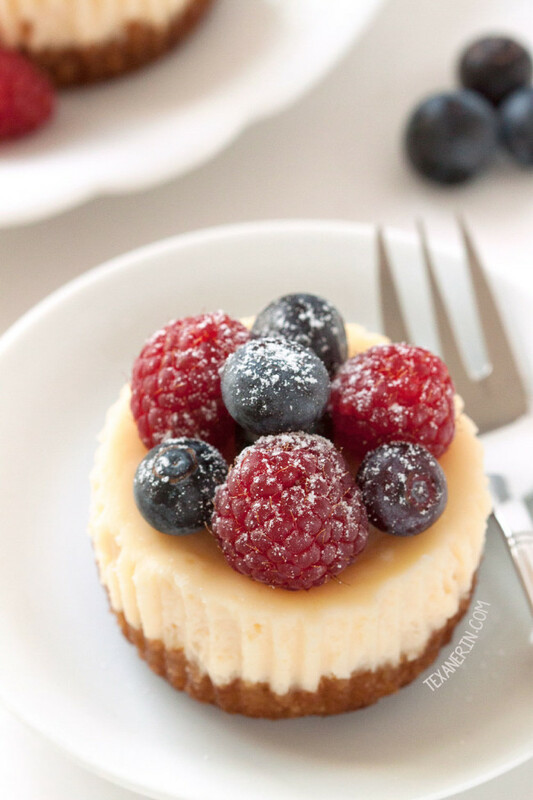 Do you have the calories per mini cheesecake for this recipe? Can sugar be replaced for splenda? And what would the measurements be? I’ve never actually used Splenda so I have no idea. Does it say on the bag how to use it? Like 1 to 1 with sugar? Sorry I’m not more of a help! Hi. I made this last night not realizing I didn’t have pain vanilla extract, or enough sugar! I used a tiny amount of brown sugar to make up the lack of white, and vanilla butter flavor extract in the crust. Turned out amazingly good. I also used like 2 drops of lemon juice(didn’t have real lemon to zest) not bad for a MacGyver! Haha. Your subs sound great! I’m happy that the cheesecakes came out well. :) Thanks a bunch for your comment! Hi can i freeze these minis please? Have you ever tried adding cinnamon to the crust? I haven’t but I think 1/2 teaspoon would work! You can always add more to taste. My husband has a nut allergy. 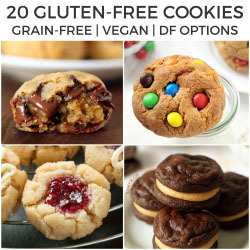 Would these still come out with gluten-free 1 to 1 flour? Thanks so much in advance! I’m afraid not. The GF 1 to 1 flours are interchangeable with wheat flour and not nut flours and other grain-free flours. Sorry about that! Check out the comment from Mama Schick on the first page of comments. :) She used one!